Kiga kaikyo - A grim examination of criminal life in post-war Japan. One of Tomu Uchida's last films and often hailed as his greatest, this three-hour allegorical crime drama stands shoulder-to-shoulder with the masterworks of the 1960's. Three robbers escape with loot from a heist, but during the escape, two of them are killed by the other. Their dead bodies wash up on the shore after a maritime disaster, but they are not listed as passengers. 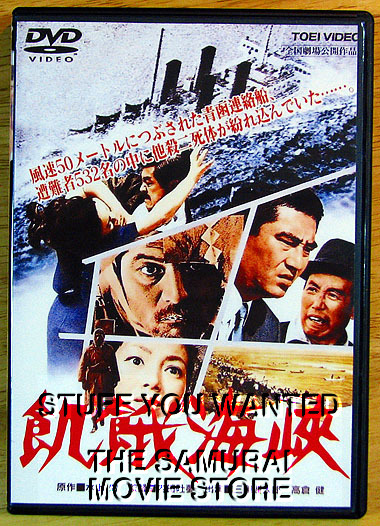 The surviving robber Inukai is sheltered by a prostitute named Yae, in return he gives her a large sum of money and she’s able to start a new life. The grainy widescreen cinematography results from Uchida’s unusual choice to shoot in 16mm and blow up to 35mm. It was voted the third greatest Japanese film ever made by Kinema Jumpo in 1999.